You were meant to live a passionate life! 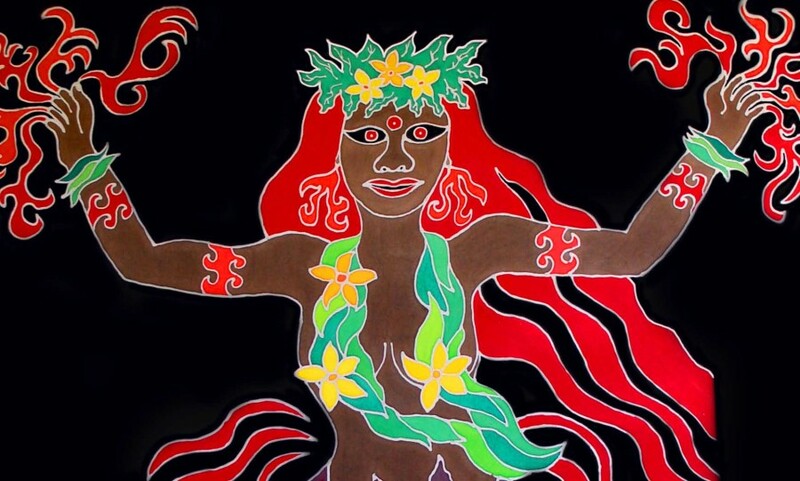 Say hello to Pele, Goddess of fire, lava, creation and PASSION. She is depicted on Megan’s fifth sacred robe and helps you live a passionate life. Are you living a passionate life? Are you excited each day when you wake? Do you have activities and people in your life who inspire you to more passion? Some of you are not connected to your passion and feel you are living a boring, colorless life. Maybe you are living a life of shoulds and oughts. Maybe you are living only what is expected of you. Maybe others are dictating the way you live. It is time to connect to your own passion and to wake up each day excited to live YOUR life. Your passion is in there, waiting to be awakened. Find out what it is! Pele is a volcano Goddess and is the passionate energy of creation itself. Nothing stops her from bringing forth what is deep inside her. She creates new land by bringing up the lava that is in the center of the earth. It explodes into the air and onto the earth and into the sea and suddenly there is a new landmass. You can be like Pele and bring forth what is there within your depths. You can bring out your passion and create something new. You can explode it into the air and onto the land and into the sea. You can create something new for yourself that you are passionate about and then engage with it.